Please tell us what life was like at BVG when you started working here. Gary: When I started, we were situated in a tiny growth incubator space. We had 2 rooms which barely fit 2 desks each, as well as another tiny room we utilized without asking. If you turned to the left, there was another person sitting elbow to elbow with you, but facing the other direction. It was driving us all a bit stir crazy, so thankfully we ended up moving shortly after to an old heritage building, which was pretty cool! For what role were you hired? Gary: In October 2010, I responded to job listing at a company I’d never heard of, looking for someone with a list of skills and qualifications I did not possess. It turned out they were looking for someone to handwrite cards to the top 5,000 VIP players on Fish World to celebrate the title’s second birthday. My handwriting is beyond awful, so, thank the heavens when I arrived I got to help players and evolve the game instead, which I’m less awful at. How has your career progressed over your five years with the company? Gary: I started as a Customer Support Representative at Tall Tree Games in October 2010, one year before BVG came into being. A few months into my role, I was promoted into a community manager role once there was an opening. Since the company was still relatively small back then, we all shared game design responsibilities, so I started to have more say in the content and feature set of Fish World. 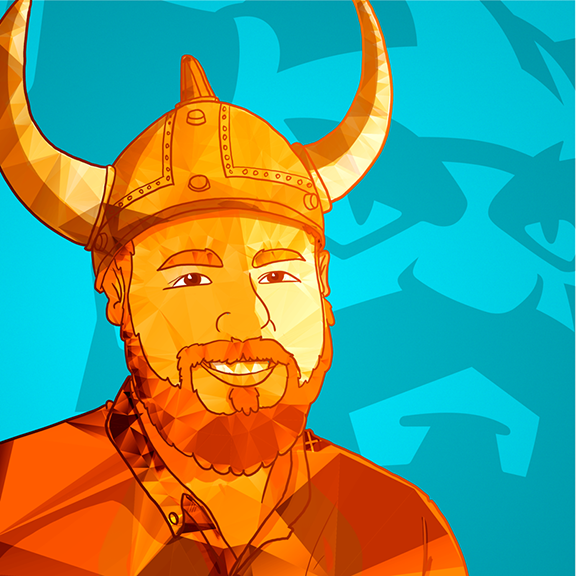 When Big Viking Games was created from our team in October 2011, we hired more staff and the opportunity for professional growth increased. In 2012, there was an opening for an Associate Producer, so I applied and was promoted to that role. We added more and more people to the team in 2013, and I became a Producer. Then BVG took over YoWorld in 2014, and I became the Product Manager for that title as well as Fish World. It was very much a case of great timing. Starting your career with a smaller company forces you to wear many hats and branch out into new opportunities. This has inspired me to try and learn things that I may not have necessarily sought out on my own, and with a growing team I had the opportunity to learn from those around me as well. New positions were never something I purposely sought out, but it’s really important to have the self-confidence to say yes to exciting new opportunities. It’s the only way to progress. How has BVG evolved over your 5 years with the company? Gary: The biggest thing that has changed are the people. Not only have we welcomed many new folks into the company, but people here tend to grow much more so than anywhere else I’ve ever worked. Not only do they expanded their skill sets, learn new talents and tackle challenges far beyond what they thought themselves capable of, I’ve also seen a lot of people grow up, buy homes, and start families. It’s a great environment to be in. As our Vikings have grown, the organization has grown with them. We’ve become more professional and less wild, which has been a change for the better. We still have a lot of fun at work, and at our Viking feasts, but now we make it home at a reasonable hour… mostly. 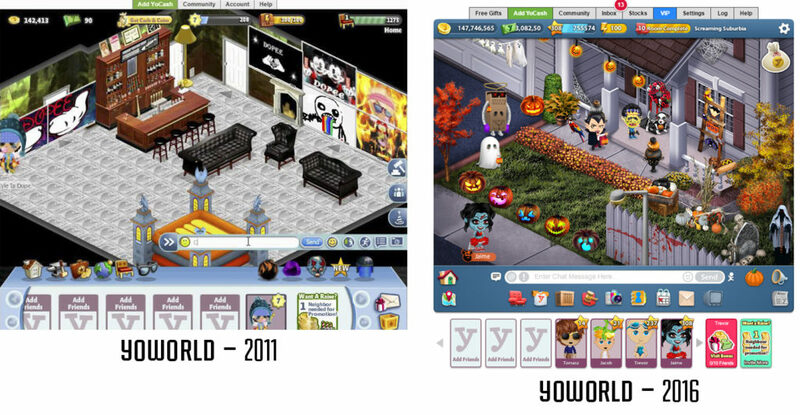 How have you seen YoWorld and FishWorld grow and change over the years? Gary: Here is roughly what Fish World looked like when I arrived on the scene. If you compare that to now, you can see we’ve taken it quite a distance. We’ve been through multiple UI redesigns, and we’re about to head down that path again. We’ve upgraded the game with so many new features, including tons of tank customization features, social features, casino games, usability updates, tens of thousands of pieces of content, and more. YoWorld is much the same story. We’ve been through numerous interface iterations, and players can now customize their in-game selves beyond what they ever imagined possible. Also, the game has never been smoother or more secure. We’ve really started to nail the content the players want to see too, which is awesome! Players tell us all the time that they love what we’ve done with the game. It’s never easy taking over someone else’s product and trying to make it your own, while not losing the products legion of fans. One thing that has remained true throughout the years with both products is how we prioritize listening to fans, caring about what they have to say, and trying to preempt any complaints they may have with an update before they ever see it. Our mission, as a company, is “Make Fans,” and this is one area where I’m most proud of our teams as they do an excellent job of it. The Worlds fans are definitely our most active and most vocal players. They get pretty excited to hear from the people behind the game. Do you have a message you’d like to share with all the Worlds fans out there. Our fans are everything to us. All we ever want is for our fans to be happy. It’s our company mission: Make Fans. With every update, we try very hard to make sure that people are going to be pleased with what we’ve been working on, and that we achieve the perfect balance of new features, bug fixes, content, and other awesome updates. We collectively spend thousands of hours a week, working very, very hard to please people. 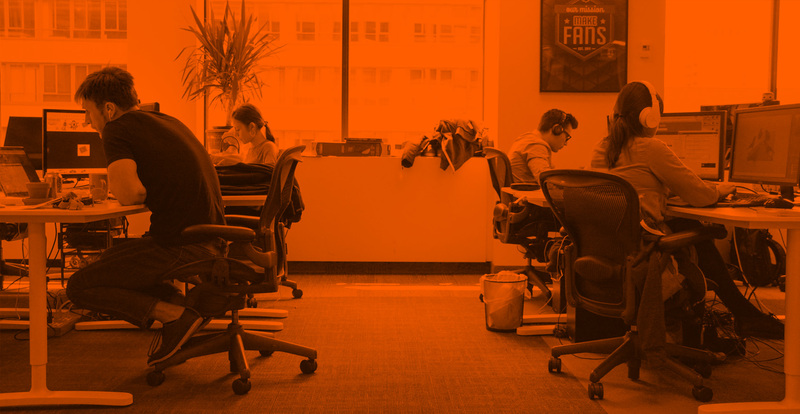 We dig through tickets, forum posts, survey feedback and other fan interactions to ensure that we make the best possible decisions to please the highest number of fans possible. We know that these games are more than just games to you, and they’re more than just games to us too. We have many sleepless nights, restlessly thinking, planning and coming up with new ideas. When we do get to sleep, we dream about them. There’s nothing more important to us. However, we are human. We err from time to time, but know that we’re committed to making Fish World and YoWorld the best games they can possibly be, and we look forward to playing them with you for a long time to come! Thank you for all of your support and encouragement!